Ditch the Screws–Try the FCS II’s! 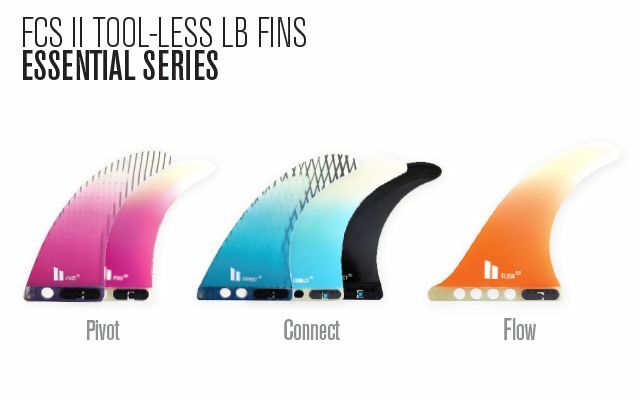 Attention all Longboarder’s and SUP owners with single fin boxes-FCS II Connect Fins are a new revolutionary fin system that eliminates the aggravation and difficulty of installing your fin(s)with plates and screws. No more screwdrivers, rusted parts or stuck fins! Simply set in the fin box, position and snap! You are on your way! FCS II Connect fins are compatible with almost every standard longboard fin boxes. A state of the art spring system locks itself into the grooves of your box and provides a secure fit. Insert the same as a standard longboard fin (using the pin), however the spring system replaces the need for any hardware.